Earlier, we discussed some great conservation and wildlife-friendly woody plants. 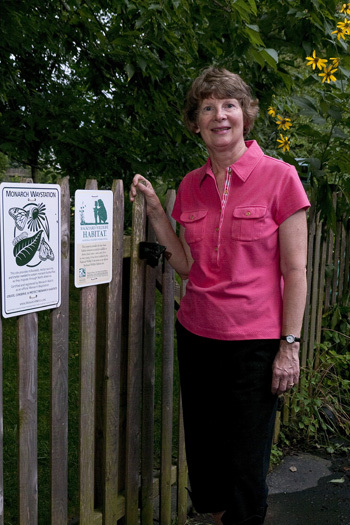 Barb Elliot, co-founder of the Backyards for Nature program at the Valley Forge Audubon Society and trained “Habitat Steward” by the National Wildlife Federation, continues her recommendations with some fantastic perennial plants found in her certified wildlife habitat garden. Asclepias tuberosa. People are starting to see milkweed as more than a roadside plant. Milkweed flowers are a nectar source for many butterflies and the leaves are the only food source for monarch butterfly caterpillars. Gardeners can watch the entire monarch lifecycle on this plant. 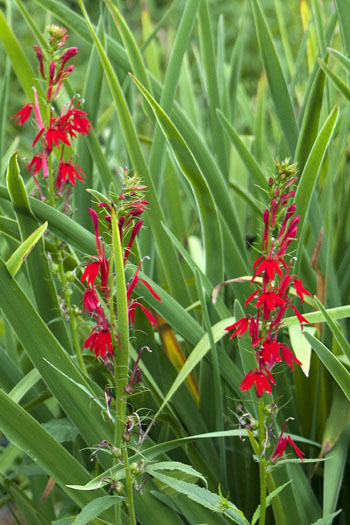 The nectar of Lobelia cardinalis, cardinal flower, is highly valued by hummingbirds and is a prime target during its late summer bloom time. 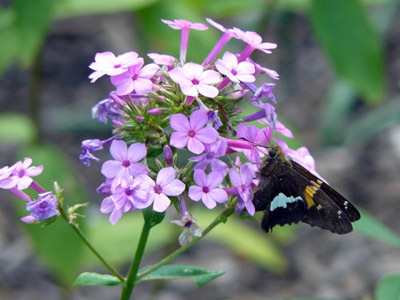 Phlox paniculata ‘Jeana’ is a new mildew-resistant cultivar. It is great for butterflies and hummingbirds. All of the aforementioned plants are available at the 2011 Scott Associates Plant Sale. Nearly one-third of the plants offered—both the woody shrubs and trees and the herbaceous perennials—are native to the eastern US. You can get complete descriptive and cultural information on the plants Barb mentioned from the full sale handbook, which is an easy download. In addition, the group of native plants available is an excerpt listing in the “Plant Suggestions for Specific Needs,” page 51 in back of the handbook. For your convenience, we’ve reprinted it as a one-page list here. Here is the detailed criteria Barb Elliot applies in selecting her plants for habitat gardening. Does the plant have multiple uses for wildlife, beyond food? Will having the plant on my property contribute to meeting year-round wildlife needs for food, shelter, nesting places? Is it an important host plant, increasing the opportunity for reproductive success for insects and birds? As a food source, is the nectar or pollen prized, is the foliage attractive to leaf-eating insects, is the bud/berry/seed/nut eaten by birds? Does the plant foliage provide protection from predators/weather; is it useful for nesting birds? Enjoy a garden of any species by planting for all your neighbors, not just humans. Barb Elliot, Ph.D. in Educational Psychology, trained as a reading specialist, worked for GE Aerospace, retired from market research at AstraZeneca, and lives in Wayne, PA.
Ted Patterson, from Wayne, PA, retired from public relations work with the U.S. Dept. 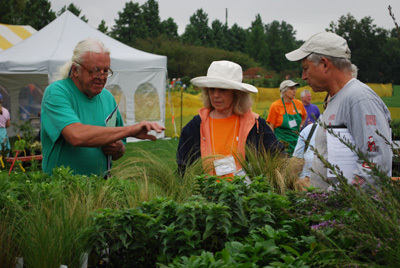 of Agriculture, is a co-chair of the woody plant section at the Scott Associates Plant Sale.